Blois (France) (AFP) - Police investigating a three-decade-old murder that mystified France said Thursday they had finally identified a four-year-old girl whose mutilated body was found by a motorway and arrested her parents on suspicion of killing her. The little girl's body, bearing the signs of horrific abuse including burns from an iron and human bite marks, was found in August 1987 in a ditch alongside the A10 motorway in central France. Investigators at the time said they were dealing with a suspected case of cannibalism in which "flesh had been removed". The bite marks on her body were likely those of a woman, according to forensic experts. The grisly murder sparked what was France's biggest ever investigation at the time, with the girl's photograph posted in public places and an alert sent to more than 30 countries, but it was declared unsolved in 1997. It remained a cold case until the 2016 arrest of her brother in an assault probe allowed police to identify her through DNA -- eventually leading to the arrest of their parents, prosecutors in the central city of Blois said. The girl, in the absence of a name, was dubbed "the little martyr of the A10". Posters appealing for information noted that she was 95 centimetres tall (three feet) with curly brown hair and brown eyes. Police visited 65,000 schools as part of the huge effort to identify her, speaking to 6,000 doctors and school assistants in the vain hope of tracking down her family. It was her brother's arrest two years ago, when his DNA was entered into a national database, that alerted investigators to a match with material found on her clothes and the blanket she was wrapped in. This allowed them to track down her parents, a couple of Moroccan origin now in their sixties. Records showed they had stopped claiming family welfare payouts for one of their seven children, with a source close to the investigation saying the mother had said the child was in Morocco. The parents, who separated in 2010, were detained Tuesday in the central city of Orleans on suspicion of murder, child abuse and preventing the lawful burial of a body. They were due to appear before a judge on Thursday, with a view to being charged. A source close to the investigation said the girl's father was claiming she died at the hands of the mother. 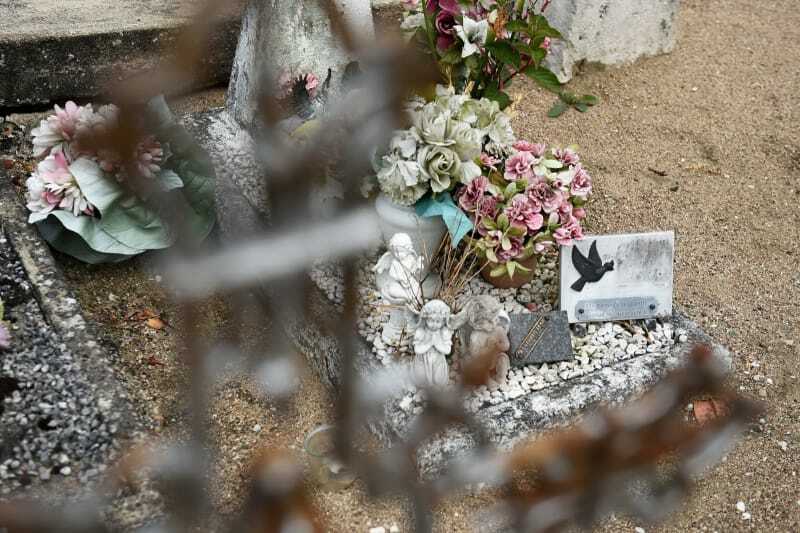 Etienne Daures, the prosecutor in the original case, said he hoped "to be able to give a name" to the girl, who was buried in a cemetery in the town of Suevres near to where her body was found. To this day people regularly replace the flowers on her grave, where the unnamed tombstone reads: "Here rests an angel."